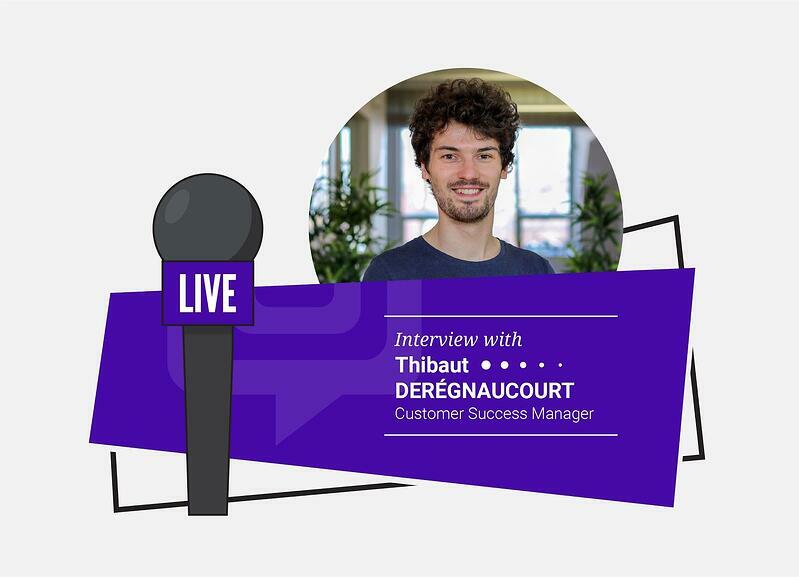 We sat down with our Customer Success Manager, Thibaut Deregnaucourt, for a can't miss interview to ask him questions about his role here at Agendize. From this interview, you will discover what has been his experience including the most challenging accounts and success stories. The main focus of our interview was in relation to the integration of large accounts within the Agendize platform and the different methodologies for migrating existing data into the system. What is your main role as a Customer Success Manager? And, how many people to do you supervise? The customer success team is actually both support and project. So my main role as the manager is to make sure that the team has everything they need to be able to help our clients get the most out of Agendize, that means to interface with the sales, project, and development teams, to make sure that we understand each other well. For example, when a client transition from the sales to the project, or from the project to the product, we make sure there are no misunderstandings between teams. Making sure we deliver in time and customers expectations are communicated across teams as to what was promised. As of today, the customer success team is comprised of 7 team members. We are here to help move the projects forward. What has been your most challenging account, and why? Every account is challenging for their own reason, but I would say Partners (resellers) of Agendize is challenging because you’re not having to prevail upon the end-user what benefits they receive from the product. We are talking with the individuals who are going to be selling or providing the service, they need a clear understanding of how they are going to communicate the benefits of the product with their business clients. It is a challenge that we have, learning how to successfully engage somebody that is not going to be the end-user. How many accounts have you worked with where the client is switching from one booking platform to ours? I wouldn’t know how many accounts off-hand, but what I know we been faced with all kinds of implementations. A lot of times it was for clients that didn’t have SaaS booking solution. In cases that did switch from a service to Agendize, in terms of data, it’s more or less the same because most clients did have a way to book meetings, sometimes it would be just a form to request an appointment but they still had a user-base. So in terms of data, it doesn’t change that much because output that they have would be more likely an excel file or any data file, but the difference between whether the client is switching or it’s a new platform for them is that when they switch from another SaaS provider, they do because they were at a point where they are unsatisfied with the platform and will have higher expectations, but they already know what they want and how to use this kind of service; therefore they would have higher expectations but the time for on-boarding would be less. Because if you start with a client that did not have such a platform before, you would have to train them to know what will be the real benefits they are going to get from the product. What is the main reason clients switch platforms to Agendize? I think what Agendize has is basically one of the most powerful systems in the market because we have many settings that adds-up to any kind of business and to any vertical. It is powerful in terms of adaptation. Also, we have a complete set of API’s that allows us to develop the product to our client’s specific requirements and get a full customization. For example, if they need they can develop their mobile app with our API’s, or we can provide with a template of our mobile app which is pretty good. Also with the API, it lends them to deploy Agendize at large scale if they are a partner of Agendize with many clients or to integrate Agendize into their own marketplace. So that allows Agendize integration to be pretty seamless. I hope that we are also being chosen because we have good service. Do whatever we can to make sure the partner understands what we are offering to them and gets the most out of it. Recently a partner of ours basically was previously reselling a booking service that just from one day to another would shut-down and we were referred to them. They called us and wanted to switch as quickly as possible. Obviously, it was not the ideal situation but we were able to help them in finding the best solution that worked for them. The challenge was they were in an immediate rush, they weren’t sure if they wanted to start from scratch to import all the data into Agendize, which was taking more time so, in the end, we did whatever we could to let them get access as quickly as possible. We gave them access to our Reseller Console so they could at least get started on creating accounts in our system. And as of now, that is how it is, they are satisfied with it. So we did not move forward in a different direction. What is the internal process of switching over into the Agendize platform? In a nutshell, if you want to switch to Agendize and you already have the data, there is a do-it-yourself approach with import functionality, for example, there is a button within the platform where you can import all your clients. In addition, our API’s can be used by our partners to import everything they need from the output data of their previous system. We also have a do-it-for-me approach, in some cases, where they send us their data files and we can create the proper format for us to set up and enter the data into our system. How long does it usually take to migrate all the existing data into the Agendize platform? It depends on what is the scope of the project, for example, in an Agendize account if you want to import appointments that might be longer than importing clients because appointments are linked to clients, services, staff members; Appointments have dates and times, so they’re more complex to import with more data to pass into the system. If you go with the API solution, it’s more API calls to perform to create the data in Agendize. So yeah, it really depends on the scope. What was the size of the largest account switching platforms? Or largest implementation of a new client? One of our largest implementation projects was for a client in the automobile industry with approximately 220 locations, and switching from their own solution. Basically, on their website you could fill a form to request an appointment, it was pretty basic. They were not using another SaaS solution. It was quite challenging because not all their locations were using the same management information system, in fact, they were using nearly 30 different systems. We had to make sure the solution synchronize with all their systems. What has been the main concern for the client during this process? The main concern for the client in the automobile industry who was switching to us was making sure the data could be synchronized back and forth. They wanted to get all the client and car information in their data management system. Therefore, we had to customize the booking process to pull this information at the beginning of the booking process, which is actually something that we are developing right now, to obtain data that is customer and car information, and at the end of the process, we send this information back to their management system. We had to adapt to this specific industry and develop a customization in order to retrieve car data because it was not necessarily something we have dealt with prior. How have you eased that concern? With the customization, my team and I had to understand their need including scenarios of usage, and that’s how we were able to convert into technical specifications for our development team. We also had to get to the details of their system to be able to understand how that would all work especially because they had this complication of having different systems within the organization, so we needed to understand that well to be able to adapt to this particular situation. How do you grow the lifetime value of customers? Once a partner (reseller) is working with Agendize, we continue to support them in understanding the functionalities of the product, and to think of ways to take more benefit out of the product. Also, we do work in the product roadmap from new implementations. Brainstorming on new ideas to make the product even better, and ultimately the customer experience. We try to anticipate our client needs and to let them know we are taking into account their feedback. If you think of any additional questions, feel free to contact us or comment below!